Mr Rooter Tip Of The Day: Any plumber can tell you that you shouldn’t pour grease down the disposal, wash coffee grounds down the drain, or flush cigarettes down the toilet—but it does happen. I firmly believe that not every plumbing need, needs a plumber! Mr. Rooter, Bob Beall, the most referred plumber in the Pittsburgh Pennsylvania, area has a very eco-friendly philosophy. Most plumbers do a reputable job, but according to Beall; caring about the environment has become an imperative consideration when dealing with the number one plumbing emergency call: drain cleaning. Mr. Rooter, the plumber who never sleeps, offers daily expert plumbing advice to consumers. Why? Because Beall believes that not every plumbing need, needs a plumber! “Beall’s children, now famous for their “Call Our Dad” campaign, have been taught since they were very young about the active ingredient in Drano and other conventional drain cleaners. According to Beall, sodium hydroxide, otherwise known as caustic soda or lye, is a man-made chemical used for its corrosive properties. Recently in a conversation with a consumer from the Boardman Ohio area, Mr. Rooter was asked why the product is still on the market. Beall says, “to the Federal Agency for Toxic Substances and Disease Registry, the substance is not considered a pollutant per se, as it separates into relatively harmless component elements once released into water or moist soil.” Beall also stands by this expert recommendation: It just isn’t good for your drains – read on and lengthen the life of your home’s drain system. Mr. Rooter says, “for those who would rather avoid such chemicals entirely, safer alternatives do exist. A plunger or mechanical drain snake–along with a little elbow grease–can often free up clogs as well or better than sodium hydroxide compounds. One home remedy with a proven track record is to pour a handful of baking soda mixed with a half cup of vinegar down the drain, and follow it quickly with boiling water.” Although these are some basic tips for unclogging a drain, Beall says the recommended product is BioChoiceES® Green Drain Cleaner, developed by Mr.Rooter with the environment, safety and efficiency as the top three priorities for residential use. Tip # 1 Any plumber can tell you that you shouldn’t pour grease down the disposal, wash coffee grounds down the drain, or flush cigarettes down the toilet—but it does happen. Instead of waiting on your pipes to clog up with excess waste and then seeking a solution while water (or worse!) spills onto your floor, the plumbing professional recommends investing in a drain solution that is environmentally friendly. It has a relatively long shelf life and generally two ounces of a quality product is enough for preventive drain maintenance. Tip # 2 A green drain cleaner is a formula containing living, microbial organisms that eat away at all of the fats, oils, and other wastes that clog up your drains. With regular, simple applications of just two ounces of a quality green cleaner, solid buildup is broken down and flushed away with ease. Tip # 3 Some substances are too thick and will take time for any drain cleaner to break down. The beauty of a quality green formula specially developed to be consumer and environmentally friendly, can eat away at those substances, it will eat away at what they are clinging to first! For example, the strong protein in hair is resilient against all drain cleaners, but the microbes in green drain cleaner will digest the drain buildup around the hair, allowing it to flow freely. For more information on Mr. Rooter products for residential or commercial preventive drain cleaning or for products to use in an emergency situation call Beall, the most referred plumber in the Pittsburgh Pennsylvania and Youngstown Ohio area. Beall offers the free second opinion and specializes in drain cleaning the environmentally friendly way. Call 1-877-ROOTER-2…Mr. 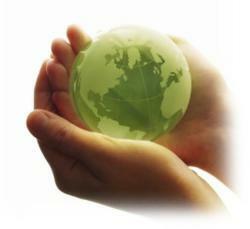 Rooter ships eco-friendly products worldwide.